Zuriati Ahmad Zukarnain is a Professor at Universiti Putra Malaysia, Malaysia. She is the Deputy Dean(Industry and Community Relations), Faculty of Computer Science and Information Technology Universiti Putra Malaysia. She received her PhD at University of Bradford, UK. Her research interests include: Develop Cashless Payment System Using Blockchain Technology, Efficient multiparty QKD protocol for classical network and cloud; load balancing in the wireless ad hoc network; quantum processor unit for quantum computer; authentication time of IEEE 802.15.4 with multiple-key protocol and intra-domain mobility handling scheme for wireless networks. She has published more than 100 papers in reputed journals and has been actively involved as a member of the editorial board for some international peer-reviewed and cited journals. She is currently undertaking some national funded projects on QKD protocol for cloud environment as well as routing and load balancing in the wireless ad hoc network. 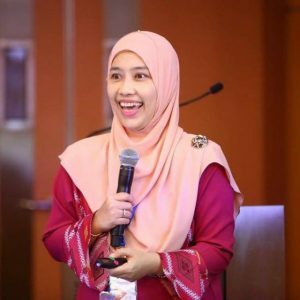 She is also the founder of ZA Quantum Sdn Bhd, the start up company from University Putra Malaysia to produce a software designing tool for Quantum Communication known as Quantum Communication Simulator(QuCS). Bitcoin is a decentralized cryptocurrency system that use blockchain as a distributed ledger that in charge of all transactions and ownership inside the network. However, the are many security issues on Bitcoin that need be aware of and this include the Double Spending attack. Based on the previous work, it being stated that Double Spending is hard to eliminate as there are more than one ways on how the attacker can double spend. This talk will focus on identifying the algorithms that have been used in cryptocurrency and blockchain to detect and prevent the double spending attack. By doing so, it will help on comparing ways to prevent the attack while it also helps other researchers on finding the best way to prevent this attack for a better security strength in the Bitcoin network. The blockchain is the world’s leading software platform for digital assets. Offering the largest production blockchain platform in the world and new technology to build a radically better financial system which is linked and secured using cryptography. The most popular cryptocurrency is the Bitcoin (BTC). The term blockchain developed from “chain of blocks” and Cryptocurrency is a sort-of “cryptographic currency”. Blockchain tech is actually rather easy to understand at its core. Essentially, it’s a shared database populated with entries that must be confirmed and encrypted. Think of it as a kind of highly encrypted and verified shared Google Document, in which each entry in the sheet depends on a logical relationship to all its predecessors. Blockchain technology offers a way to securely and efficiently create a tamper-proof log of sensitive activity. Blockchain’s conceptual framework and the underlying code is used for a variety of financial processes because of the potential it has to give companies a secure, digital alternative to banking processes that are typically bureaucratic, time-consuming, paper-heavy, and expensive. In terms of security purposes, there is also sometimes have a leakage of the important information. There are many risks and vulnerabilities could be highlighted. We developed a blockchain-based cashless payment system, known as ‘Zchain4U’ that could be one of solution to a save transaction of any cryptocurrency in Malaysia. This new technology is inline with Industrial Revolution 4.0, involving a growing demand for cyptocurrency such as Bitcoin has attracted many scammer to defraud victims through e-wallet offering or to otherwise take advantage of them. In addition, unsecured e-wallet also can be easily hacked, hence by utilising blockchain, would provide more security than that traditional transaction. Dr. Manik Sharma is MCA, UGC-NET qualified and has received his Ph.D. degree in “Distributed Query Optimization”. He has more than 12 years of teaching experience. 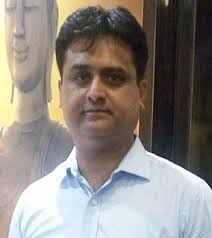 He has worked as a head of department of Computer Science and Application at Sewa Devi SD College Tarn Taran. Additionally, he has also acted as an officiating principal at Sewa Devi SD College Tarn Taran. Currently, he is working as an Assistant Professor in the department of Computer Science and Applications at DAV University Jalandhar, India. His main research work focuses on query optimization, data mining, soft computing and machine learning. Currently, he is working in the area of Data Mining, Machine Learning and Soft Computing with specialization in the diagnosis of diseases and modeling of DSS query optimizer. The thrust area is to improve the predictive accuracy in early diagnosis of several fatal human disorders. He has published 04 books related to Computer Network, Internet Applications, Management Information System and Database Theory. In addition, he has also published 20 research papers in various journals of International repute including Scopus and Thomson Reuters. He also presented more than ten research articles in various national and international UGC and IEEE conferences. Besides, he has given several talks on query optimization, data mining and health informatics. Moreover, he is an active member of several International Program Committee, Technical Program Committee, and Advisory Committee of several academics conferences (United Kingdom, Singapore, Mauritius, Thailand, Vietnam, USA, Hong Kong, Canada, UAE, and India). 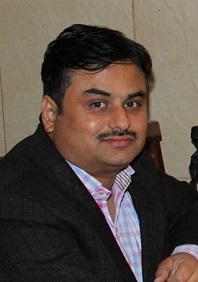 Dr. Akhilesh K. Sharma Ph.D. is an Associate Professor in Manipal University Jaipur (India) in school of Computer Science and Information Technology department. He has more than 15 years of experience in academic and research field. He has worked in various universities and engineering institutes of national and international repute. He has won various prestigious awards like the best research proposal award by ACM and CSI (Computer Society of India) Udaipur chapter. His area of interests include Big data analytics, deep learning, classification and clustering methods, Data mining and machine learning, cognitive intelligence etc. He has authored/co-authored a large number of technical research articles which were published in various journals, books and conference proceedings with good citation index. He has completed a few sponsored projects in the areas of R&D and optimization. He has guided a large number of projects for graduates, post graduates and PhD courses in engineering discipline. He has visited several places for presenting research articles, chairing sessions and delivering lectures like IITs, NITs. He visited Vietnam, China, Singapore and Thailand etc. He is a Senior Member of Indo-U.S. Collaboration in Engineering Education (IUCEE), ACM, and Computer Society of India (CSI) and Member compliance committee of MIR Labs Washington, USA. He has organized conferences, faculty development programs, workshops and seminars. He has been included as an expert committee member based on his expertise. Due to his meritorious contributions in the field of education, he has been awarded best paper award, Nanyang Technology University, Singapore as visiting research scientist etc. He has received Best teacher award for his contributions in academics. He is an accomplished scientist with large number of research publications to his credit. He is actively involved in computational and experimental research work. His interests in Deep learning, machine learning, big data analytics has built a large fan following with many senior scientists visiting his laboratory. He was the recipient of the Rajiv Gandhi sadbhavna award given by Mrs. Sonia Gandhi (Former President of Indian National Congress, United Progressive Alliance Govt.) at 10-Janpath in India. He visited IIT Indore to deliver guest lecture on latest research areas and He was succeeded to fetched/received grant from Department of Electronics and Information Technology (GOI) and successfully conducted industrial excursion and ESDM workshop for the university students. Recently he has been awarded for the distinguished research excellence award for the year 2017, and for the best research proposal award by ACM and CSI in Doctors Conference-2016. One can reach to him at akhileshshm@gmail.com. Human lives were highly affected with enormous purchase capacity and trends in the recent past. Now industries facing challenges to use their business acumen in this field. They want to have complete detailing of their products to make some informative decisions. This can be done using the various analytical methods to identify customer centric products and their associations with them. This talk will not only highlight this problem but also offer various solutions to identify and increase the business. The talk also cover the time series analysis based product listings so that effective business growth may be achieved. This kind of customer product relationships help a lot in increasing the business acumen. By the end of this keynote, audience will have a better understanding of the various applications of Association rule mining and apriori, time series analysis based methods utilized in the industry. At the end some illustrative results will be shown to the audience for better understanding. Waralak Vongdoiwang Siricharoen is lecturer and senior researcher of Faculty of Information Communication and Technology, Silpakorn University, Thailand. She received her master degree in Business Administration with Computer Information Systems Certificate in 1999 from University of Southern New Hampshire, NH, USA. And she received her Doctoral Degree of Technical Science in 2005 from Asian Institute of Technology (AIT), Thailand. 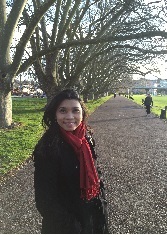 Her works focus on ontologies engineering for non-experts, human computer interaction and infographic evaluation. Her works have been reported in peer-reviewed papers published in international journals, conference proceedings, and books. Her research area specialists are ontologies, database technology, software engineering, object oriented, human computer interaction, infographics, etc. She received the researches and development grants worth more than 1,000,000 baht from University of the Thai Chamber of Commerce (UTCC). Also now she is supervising bachelor, master, and PhD students. She has several published books, journals and conference proceedings papers. Also now she is acting as Editor-in-Chief of the International Journal of E-Entrepreneurship and Innovation (IJEEI); the editor of academic journals; reviewer of several conferences; general chair of international conferences; invited, keynote speaker, and master of ceremony in the international conferences and events.